Wanna One and Seventeen have prepared a special act for the annual end-of-the-year music program. The wait is over for KBS Song Festival 2017. 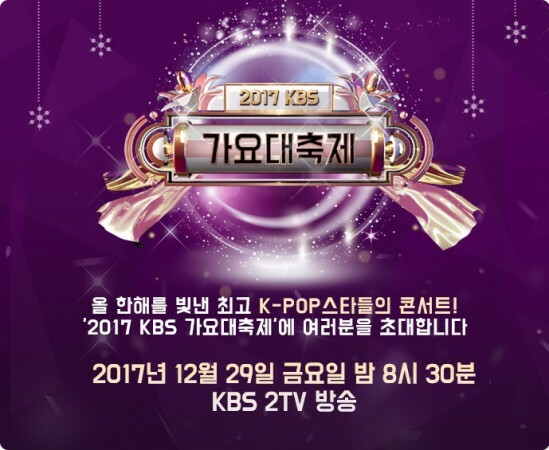 In the next few hours, the annual end-of-the-year music program will kick-start with a live broadcast from the KBS Hall in Yeouido, Seoul. The star-studded event will feature performances of popular K-Pop groups, including EXO and BTS. The show will be designed in the form of a mini concert and the participants will be given an opportunity to interact with their fans. The event will be broadcast live on KBS from 8.30 pm KST. The network is available on KGP, SKPB and AQ Stream. The Korean music lovers can also watch the show online via live streaming on the KBS World's official YouTube page. This year, the organisers are planning to go on a smaller scale because of the ongoing strike. The theme for this year is Concert and Confessions. EXO – South Korean Chinese boy band under SM Entertainment, BTS – Seven-member boy group under Big Hit Entertainment, Red Velvet – five-member girl group under SM Entertainment, TWICE – nine-member girl group under JYP Entertainment, Wanna One – 11-member boy group formed by CJ E&M, Seventeen – 13-member boy band under Pledis Entertainment, MAMAMOO – four-member girl group formed by Rainbow Bridge World and GFRIEND – six-member girl group formed by Source Music. A member from each of the participating theme will be given the opportunity to host the show. The MCs for this year are EXO Chanyeol, Red Velvet's Irene, BTS's Jin, TWICE's Sana, MAMAMOO's Solar, SEVENTEEN's Mingyu, GFRIEND's Yerin and Wanna One's Kang Daniel.